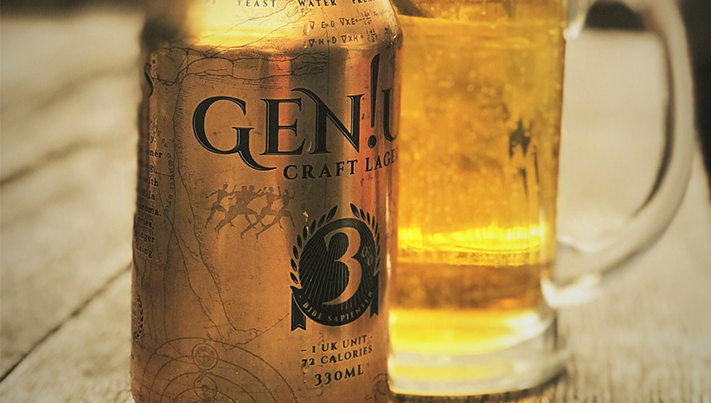 Gen!us Craft Lager is brewed with the finest pilsner malts and three hop varieties, yet each can is 3�V and only 72 calories - fewer than an apple!. 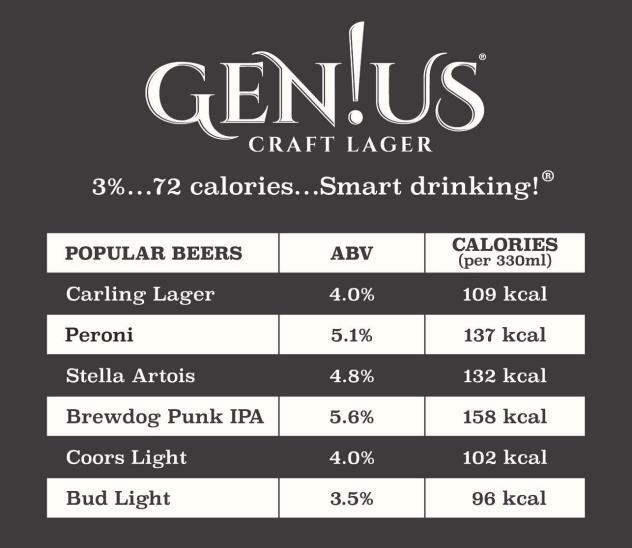 So not just a great beer but one with fewer calories and less alcohol (1 UK unit per can).With more and more people taking greater care of their bodies it is unsurprising that the most common resolution each year is to be more active. Traditionally, it would have been inconceivable to comprehend enjoying a beer and making serious physical progress in running, cycling or going to the gym. Gen!us, however, is making it completely acceptable to enjoy alcohol in moderation, or even post-training.